CompNet has been developing software and IT infrastructure for small businesses and organizations around Australia, since its establishment in 1995. Operating from Leichhardt in Sydney’s inner city, the privately owned and held Australian corporation provides IT services by contract and appointment. CompNet’ core business is helping organizations build, manage, and support effective information services implemented with their Smart Systems ©. The company has developed expertise in Database Solutions, Web Application development and Content Management Systems. Developers employ current technologies and methods, and pride themselves on building robust and effective solutions that provide long-term advantage to clients. CompNet has also produced “shrink-wrap” solutions for public markets including the Artists Management System (AMS)* used by many art centres within Australia. CompNet provide free IT Audits and IT Brainstorming sessions to help their new and existing clients better see low productivity, inefficiency, bottlenecks, security and safety issues. Adam Griffiths has over 18 years experience providing Information Technology solutions. 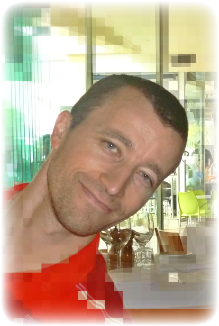 He has worked as senior programmer on development projects for many Australian small businesses and organisations. His development, management, and IT support roles have taken Adam into offices around Australia including working with many remote communities. Adam is well respected and relied upon as an industry professional who can deliver the service and solutions that he talks about. Jason Panis is a nineteen year veteran in the world of Information Technology who has shared his technology skills and expertise to various businesses, organisations, and individuals. His priority is to serve the clients and customers, and he continues to develop his IT knowledge through formal and informal studies to add value to his services. Jason enjoys fixing things. While not at work, he is out trying to save the world and its inhabitants, in whatever and however way he can.